with seoul design foundation) makes me actually want to own a bike. Way cooler than a hobby horse, this detachable outline of a galloping horse would be made better only by changing it’s materiality. Instead of wood (this is a prototype that would likely break after a few weeks of use), the horse outline could be a sinuous line of LEDs or neon. This would up the cool and the safety factor, of course. And the price (if there were one) . 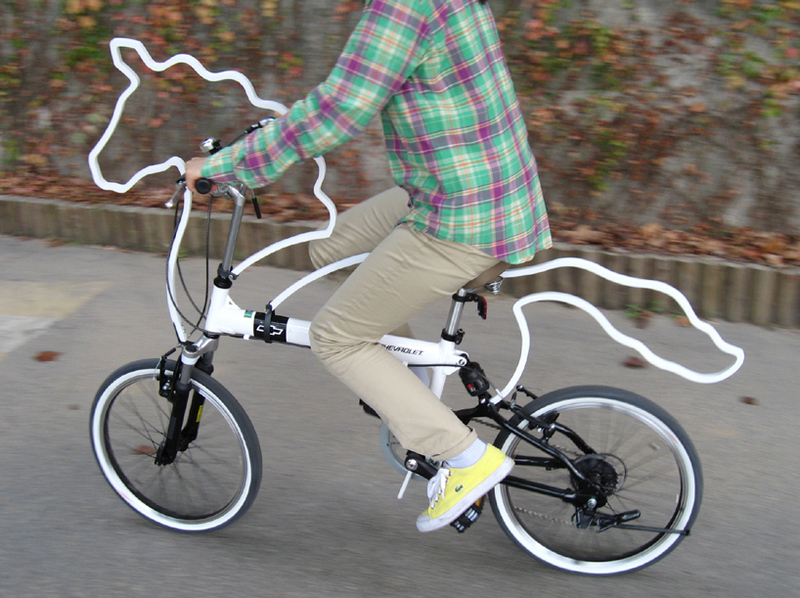 ‘horsey’ is an attachable bicycle ornament/accessory which makes one’s bicycle look horsey! the ‘horsey’ package includes wooden ornaments (horsey shape body), metal parts, and screws. the manual is very simple so that anyone can easily arrange it according to one’s needs. through this ‘horsey’ project. I wanted to give a special look to bicycles so that people would care about cycling not only as transportation but also as a lovely pet.